← Saturday…What More Can I Say? As time draws near to packing up borrowed machines, the next batch has departed for new homes. 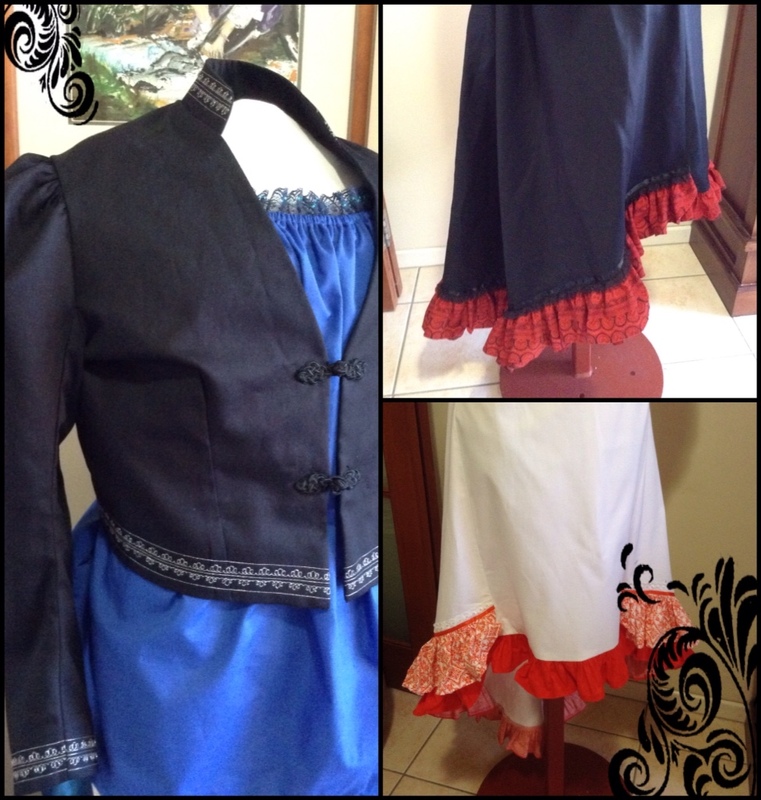 There's been tops, more skirts of varying styles and colours, more corsets, an 1890's Eton Jacket with a twist and a couple of men's vests thrown in for good measure. 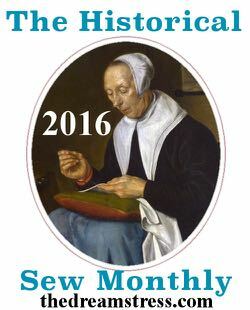 Well the latter takes care of the April challenge for Historical Sew Monthly – Gender Bender and I've finished them before the end of the month! Yippee! 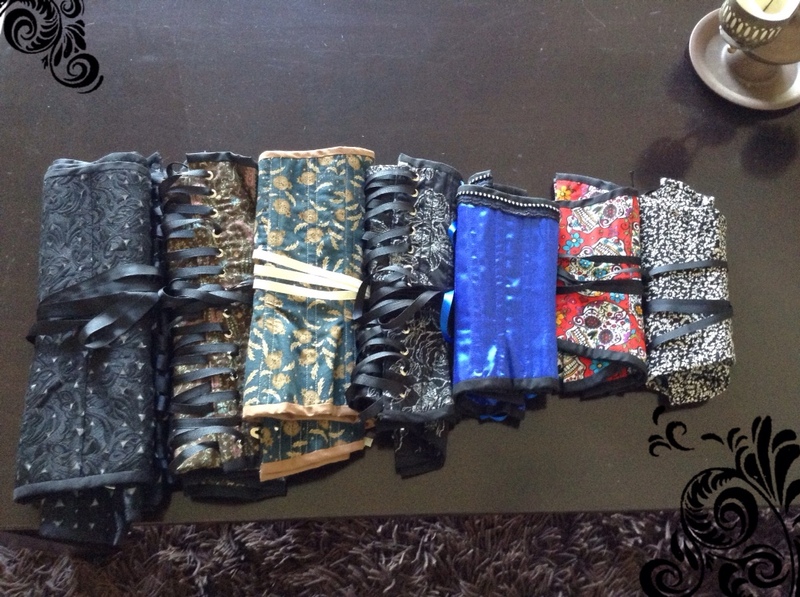 I even managed to throw in a couple for myself while the black was on the machine. 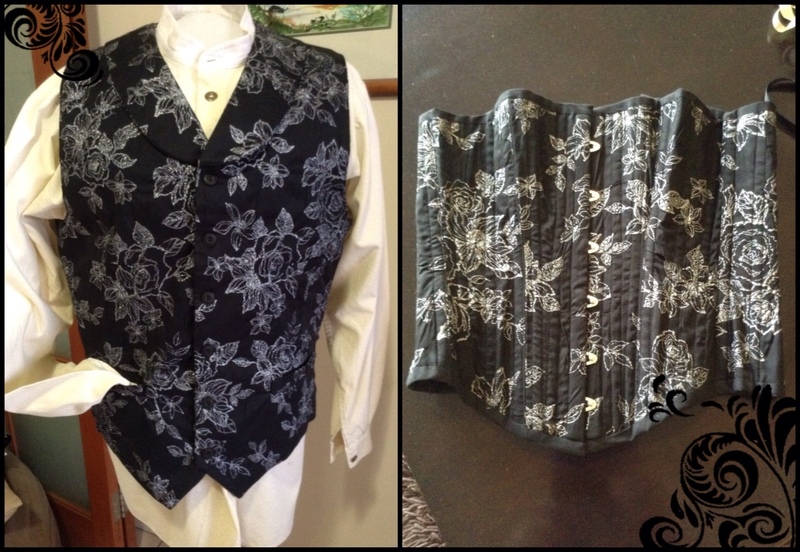 Matching vest and corset for Kat Balloo and Yukon Mort. 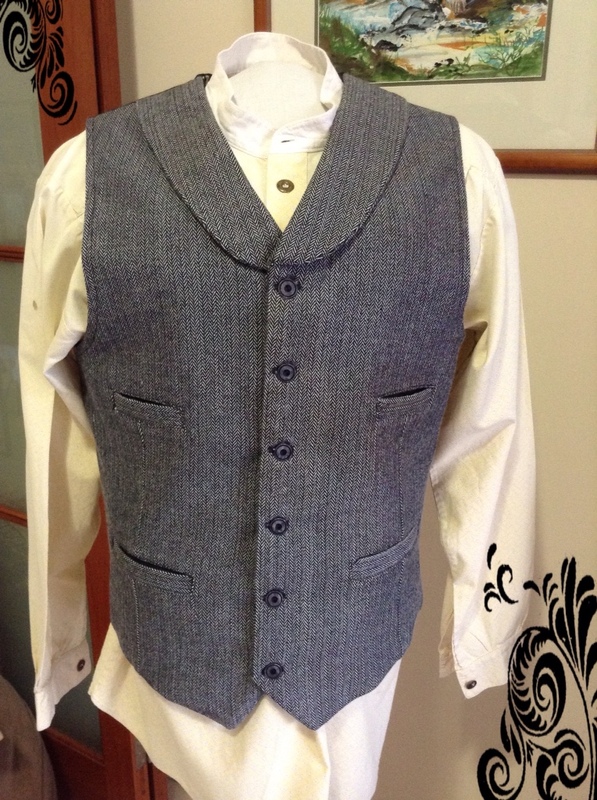 Prescott vest in wool for Frank James. 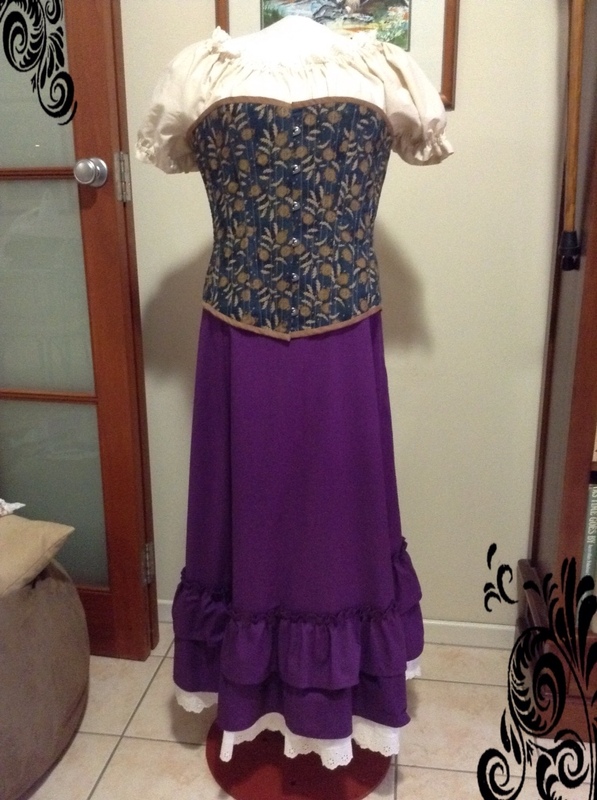 A complete outfit for Ta Killa Sunrise in purple, cream and teal. 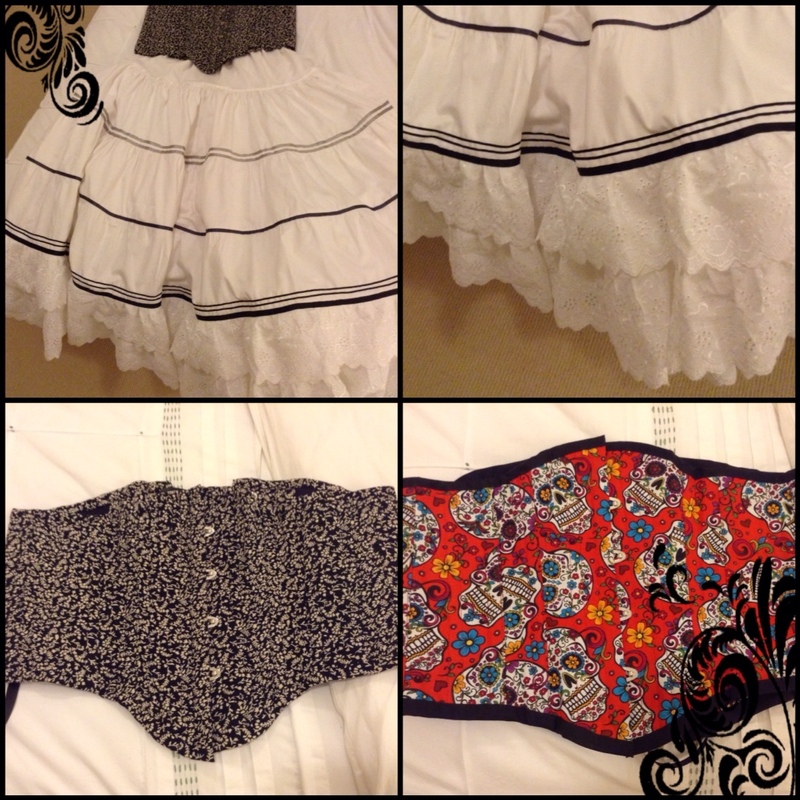 Saloon style skirts for Rea Coyle and her Eton jacket (altered sleeves and collar) trimmed with metallic silver thread decorative stitch. 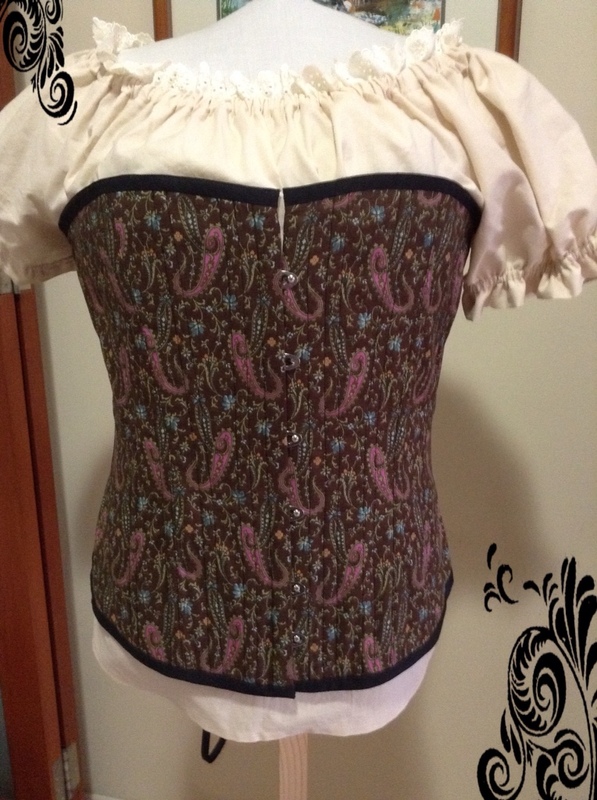 This entry was posted in Love My Life, Sewing and tagged corsets, cowboy action shooting, Historical Sewing, sewing. Bookmark the permalink.